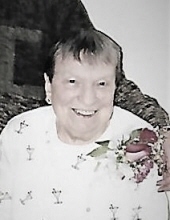 Ethel Zsizsik, 98, of Ottawa, died on Monday night, April 8, at Aperion Care in Marseilles.Funeral services will be at 2 p.m. on Saturday in the Mueller Funeral Home in Ottawa with the Rev. Bruno Byomuhangi, of St. Francis of Assisi Church, officiating. Visitation will be one hour prior to the services. Ethel was born on Feb. 17, 1921, in Ottawa to John and Rose (Fekete) Zsizsik. She was a 1939 Graduate of Ottawa Township High School. She was employed at Luminous Processes, later attended Beauty School and owned and operated “My Fair Lady” for more than 50 years. She was a member of various beautician organizations, and bowled in Ottawa leagues for many years. Ethel is survived by 12 nieces and nephews: Sandra Houtz, of Ottawa, Roseanne Hubbard, of Plano, Janet Williams, of Winfield, Dorothy Wilkins, of Plymouth, MN., Wade Kilgore, of Sheridan, Ernest Peters, of Seneca, Pearl Patarozzi, of Morris, Jerry Peters, of Sencea, Jean Stubblefield, of Marseilles, Richard Raber, of Wheaton, Clark Raber, of Ottawa, and Sandra Austin, of Mechanicsville, VA. 31 great nieces and nephews, and 45 great-great nieces and nephews. She was preceded in death by her parents and three sisters, Rose Kilgore, Annie Peters, and Elizabeth Ann Raber, three brothers, John, Stephen, and Ernest Zsizsik, one niece, Sharon Richer, and one nephew, John Peters. Memorials may be made to the donor’s choice. To send flowers or a remembrance gift to the family of Ethel Zsizsik, please visit our Tribute Store. "Email Address" would like to share the life celebration of Ethel Zsizsik. Click on the "link" to go to share a favorite memory or leave a condolence message for the family.